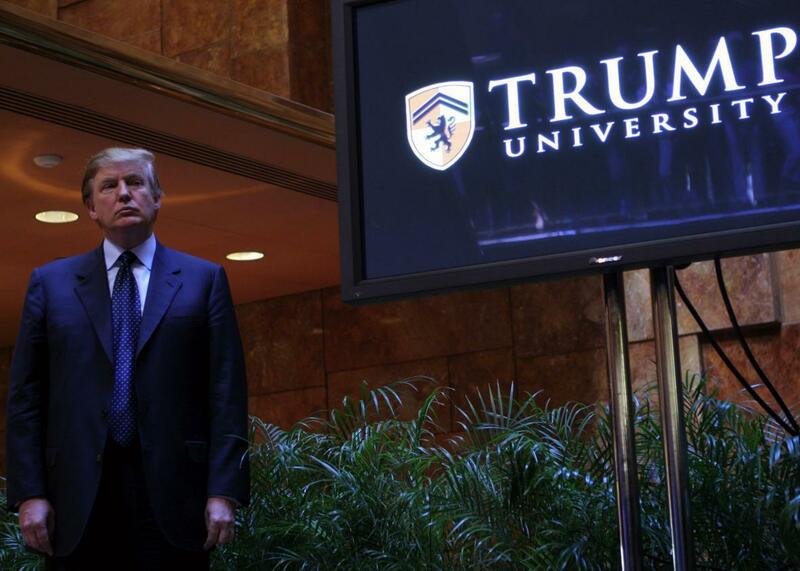 Judge orders release of Trump University documents. Donald Trump holds a news conference announcing the establishment of Trump University on May 23, 2005 in New York City. A federal judge ordered internal Trump University documents that are part of a class-action lawsuit be released following a request by the Washington Post. U.S. District Court Judge Gonzalo Curiel is well aware that Donald Trump is none too happy with the way he has been handling the case and cited it as a reason why the documents should be released by June 2. “Defendant became the front-runner for the Republican nomination in the 2016 presidential race, and has placed the integrity of these court proceedings at issue,” Curiel said in an order that unseals a series of documents that Trump’s lawyers didn’t want released. Yet the fact that Trump is the presumptive Republican nominee only increase the public interest in the documents, the judge said. Curiel issued his order to unseal the documents on the same day that Trump called him a “hater” and said the Indiana-born judge was a “Mexican.” The judge makes no reference to those specific comments in his order, but does mention several instances in which the real estate mogul questioned his integrity. Among the documents to be unsealed are two sets of Trump University “playbooks,” outlining rules and procedures for running Trump University events and employee scripts for engaging with customers. Some of the documents have already surfaced online. Online political website Politico in March posted a 2010 Trump University playbook, which instructed employees to rank students by liquid assets to help determine what kind of course packages they could afford to buy. Other documents would be made public for the first time, including a sales playbook the judge said contained marketing techniques for selling Trump University programs. All in all, the records amount to around 1,000 pages, notes the Post.